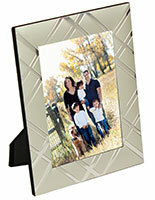 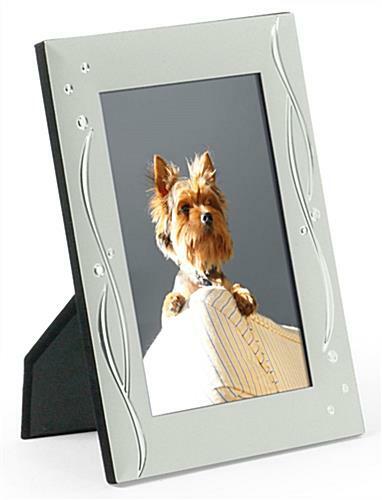 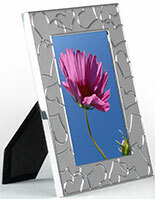 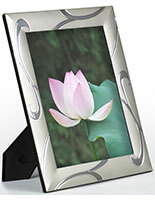 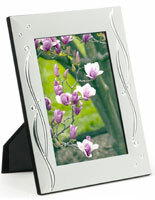 These silver picture frames are made from durable aluminum and feature an elegant swirling pattern on their border. 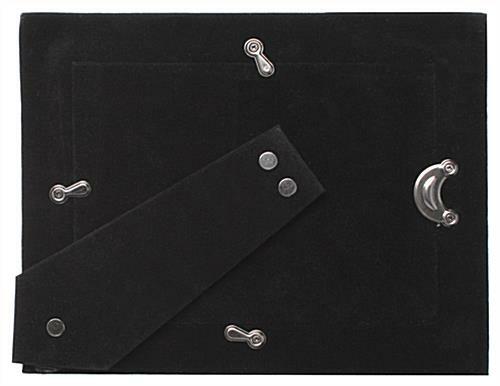 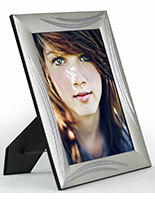 Designed to hold 4" x 6" photographs or images, the metal framing comes with a black easel backer that supports either portrait or landscape display. 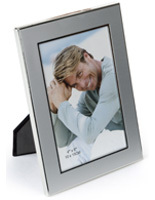 The stylish countertop picture frames will complement any home or office and can even be used for showcasing 4x6 advertisements or sales information in retail or professional environments. 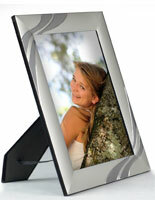 The shining finish makes the reflective accents stand out for an attractive and elegant image display. 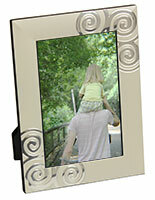 Counter or tabletop picture frames are a perfect choice for displaying a treasured photograph or graphic. 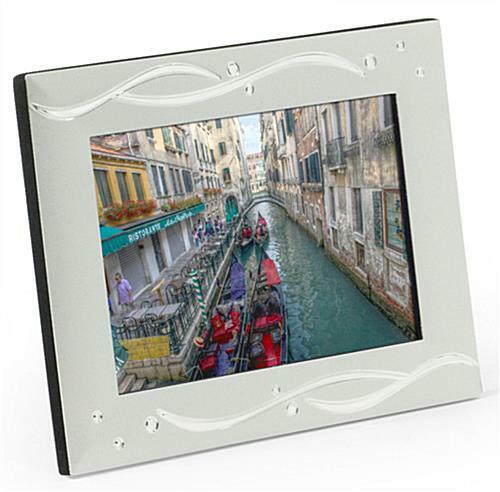 The economical aluminum construction makes these stylish 4" x 6" photo holders a great choice for home, office or use as gifts or favors.